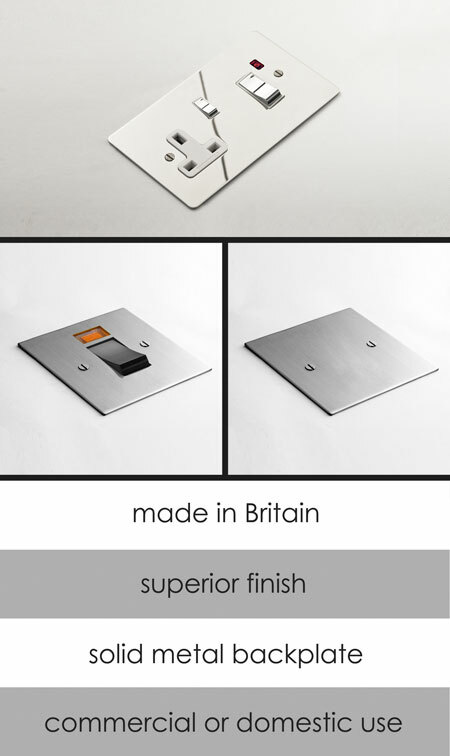 A designer collection of sundry household matching sockets and switches with a choice between polished chrome or brushed chrome finish. These contemporary household electrical fittings make a smart design theme to high quality interiors. We offer cookers switches, TVs, telephone and satellite sockets, plus data and points and fuse spurs. * Full range of fittings.